After achieving your initial fitness goals, you get the power and motivation to keep going and attain the unthinkable. But If you’re a beginner then you need motivation to defeat your laziness, don’t you agree? What could be more motivating than money? Well, now you can earn money by just by walking, exercising and shopping. 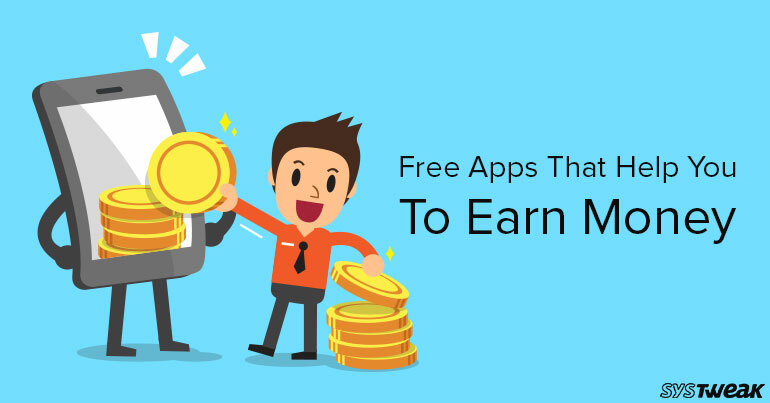 In this post, we’re going to share the list of the free apps that help you to earn money just by doing the things you normally do. If you’re a beginner and want to stay in shape then you need a motivation that makes sure you cheat with your diet and workout section. Well, that’s why most of the people join a gym and hire personal trainers. However, you can use Fimo that will not only help you to achieve your goals but also reward you every time when burning your calories. Ibotta is a wonderful app that helps you to get cash back on every purchase with Ibotta. You can save money without the hassle of coupons, discounts or promo codes. Ibotta offers you tons of coupons for different products and brands, apps and stores. So, you can buy stuff from your preferred stores, restaurants, retailers, apps and bars as well. StepBet is a powerful app that is developed by WayBetter, Inc and helps you walk more and win more. All you need to do it, just track down every single step you take and get rewarded for them. Isn’t it cool? With StepBet, you can personalize your step goals and challenge yourself to walk an extra mile every day. It is compatible with Google Fit, FitBit and S Health. The app has an ability to check out your balance point and cash out your winnings with a tap of your finger. There is nothing better than getting rewards point for the thing you already do. Don’t you think? ShopKick is an amazing app that rewards you with free gift coupons by buying the things in your budget. You can use the gift card at Walmart, Starbucks, Amazon, and Sephora. Indeed, it’s worth a shot. It is a fun app, which is capable of tracking your health as well as helps you to earn money with minimal efforts. The app helps you to stay motivated while completing challenges. Moreover, you can connect with your friends and let them know about your achievements. Millions of people use Higi to stay fit and earn some extra bucks for shopping. MobiSave is another app that helps you to earn money just by doing your grocery shopping. As the name reflects, this app helps you to earn money just by using your smartphone. It is the perfect and easiest way to turn your zero value receipts into cash. All, you need to do is, just select the offer and shop from your favorite place. Once you are done with your shopping, click a pic of your sales receipt using the app. You will get the money in your PayPal™ account once the MobiSave is done matching your purchase. With Bounts, you can earn fitness rewards by doing the same exercise which you do on daily basis. It is the extra motivation for a healthy lifestyle. Best of all, you can join it without spending any money. It is compatible with Fitbit, Jawbone, Misfit, and Garmin. Bounts reduce the additional efforts to check sugar and nutritional fact manually. You can easily find out about the nutritional facts available on your grocery list. Overall, after using these apps you can earn money as easily as you can spend them. These apps are great for earning cash back on your daily purchase be it your grocery list or restaurant bills.